I wrote about Blog Action Day yesterday to get things flowing as we come together to take action on a single topic: water. Our goal is to get clean water, safe water, enough water to under served people across the globe. Since it's Blog Action Day and not just blog "write about it for a day" or blog "make someone else do something day" I wanted to write about two things I am doing to take action. As I mentioned yesterday, my co-authors and I are donating 100% of the proceeds from the sale of Age of Conversation 3: Time to Get Busy to charity:water. This is a smart business book, great for your library or as a gift for business associates, clients, partners and friends. Because all proceeds are donated, purchasing it is a bit like giving two gifts in one! My family and I are long-time supporters of Gospel for Asia, which has a tremendous water program that is bringing life and hope to many across Asia. It's no secret that many villages do not have ready access to water, and people must walk miles to gather precious rations to sustain them each day. GFA's well program is one of the most efficiently run water programs around. Donate a well to a village for $1000 . Send a BioSand filter for $30 to a family, and help them purify polluted water. All of your money will go to the cause you select. There is no money subtracted for overhead, administration, marketing (etc.) because every GFA staff member raises his/her own support. GFA also employs native workers and uses native resources for its work, creating employment and economic growth in each country. Supporting GFA has been some the best money we ever spent. 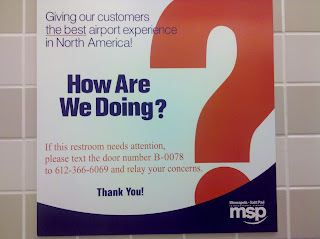 They even call to ask how we are doing, periodically! Purchasing Age of Conversation 3: Time to Get Busy, supporting charity:water and GFA are just three places to take action today. If these don't line up with your vision, passion, faith or conviction, there are many other terrific charities on the Blog Action Day website. Take action today! Tomorrow, on October 15th, it's Blog Action Day - and thousands of bloggers are uniting to discuss one thing: Water. Our goal? To rally people to the cause, in a single day, to raise awareness, action and funds to help get safe water to the underprivileged and under served people. Nearly 1 Billion people do not have safe water to drink? 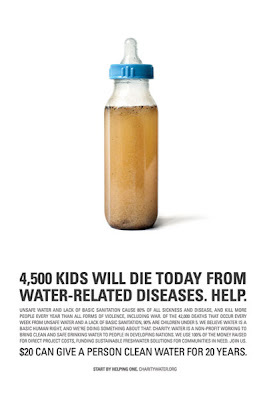 In fact, every day 42,000 people die for lack of safe drinking water - and 38,000 of those are children. In many countries, the scarcity and quality of water is a life or death issue. Water is a vital resource that is the cause of wars, strife and conflict that take many lives. That might seem foreign to us here in the USA, where for the most part, we seem to have plenty of clean water. In the name of "healthy" and "convenient" we consume, on average, 200 bottles of water per year, per person. 86% of those bottles are never recycled. The 14% that are, require the consumption of 17 million barrels of oil per year to re-purpose. Imagine the funds spent on bottled water alone could do to support clean water projects all over the globe! My point is this: It's time to get thirsty for the right things. Every one of us can afford to take some kind of action in the name of responsible stewardship. At a minimum, we can all make a difference in the areas of water conservation and follow the conscience we all to often ignore. We can do so much more together to support the delivery of clean drinking water to people around the globe. Spread the word at home, work, school & online. Visit the Blog Action Day site help with fund raising and even sign or start new positions to support a charity supporting water related projects. Tell your friends about Age of Conversation and help get the word out. Purchase "Age of Conversation 3" knowing your funds are going directly to charity. It's available in hard cover, paper back and for the Kindle. Finally, if you're a blogger, participating in blog action day is easy. All you have to do is register on the Blog Action Day website and write a related blog post on the 15th. The site includes a list of helpful facts and water related topics you can write about, to get those juices flowing. Whatever you write -- do it from the heart! And if you're a fan of AOC3, consider mentioning it! Raise the sword from the high horse and shout it loud as you lead the charge of businesses everywhere! This is the magic formula for success. It's not like it costs anything, right? Wrong. This statement has zero context. Engage in what, with whom, and for what reason? I often see this blanket charge is issued by people (including someone recently) who employ formulas and follow schemes to garner a massive audience. They leverage follower numbers as a platform to try and establish "authority" or "influence" and broadcast messages out to a faceless sea of names in a manner that largely mirrors traditional one-way marketing. They engage in a largely unfocused dialog that leads to little and usually to demonstrate their own knowledge, self-promote or attempt to game some influence. They follow far more people than follow them back. They rarely respond to DMs, (although they spam people with them) and haven't had meaningful discourse with 80% of their network. Beware of these people - they don't understand business shift. Any fool can employ a follow scheme and garner a massive audience overnight using bots and apps online - but without a plan, and decisive focus, it's a waste of energy. Engagement is one part art and one part science and it must be driven by a larger picture for how it engagement will drive measurable outcomes. Perhaps this is why brainiac Brian Solis dedicated an entire book to the topic of engagement. That's right, an entire book. In fact, a number of smart people have written about this. Whether your focus is broad and expansive or narrow and deep - - there's got to be a a plan in place clear goal, a set of measurable objectives in place guiding engagement. A number of people have complained about Guy Kawasaki, accusing him for a lack of focus and taking him on for his methods on Twitter. Guy has garnered a tremendous following through his own reputation and effort, and by employing the use of follow bots, auto responders and not-so-ghostly support staff to manage communications to his network and manage tweets around the clock. I don't personally love his approach -- but I really do respect Guy - because he does have focus. His entire goal is to target (in his own words) "anyone who can click" - largely to drive traffic from all walks of live to Alltop -- although this network is also instrumental in promoting his books and other efforts. He's got massive focus.. and massive followers. He works in a direct-to-mass capacity --> and it works for him. My only caution for those watching is this: Guy's approach may work for a huge persona, or a mega brand -- but it's not likely to work well for the the majority of us in business today. If you want to build a network that will serve as a valuable resource, attempt to build a following of smart folks who will readily engage with you to answer questions and solve problems. They should dare to challenge what you say, probe with you, debate with you, give you ideas and promote you when you say smart things. This is true whether you are an individual learning from others, or a person representing a company whose goal is to harness the input of the masses to better inform your brand's customer. As you learn from them, celebrate their savvy and contribution to further bolster your network. Engaging to learn means you'll be thinking, listening, probing, dialoging and debating as you fish for wisdom and insight within your interaction streams. It also means you won't be fishing merely within your own stream. 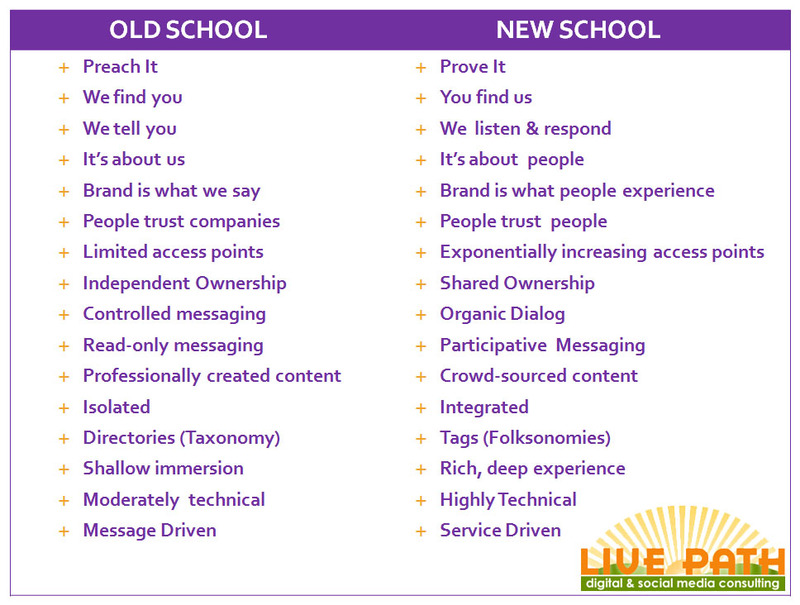 Smart learners also mine available wisdom from other streams (related, competitor, etc.) using available technology and tools (disclaimer: both Clarabridge and RightNow are clients). After all, there's a focus group happening online every day -- and smart people can readily use the knowledge exchange to create, innovate, capitalize, grow, reach and extend more strategically. Business is all about people: People serving people. If you are not engaging in social channels to serve, you're not doing business well. Whether you're providing helpful knowledge, directing people to channels for resolution, or solving people's problems -- you will be called upon to serve others in social channels. Some of what your assistance may not even be your job. 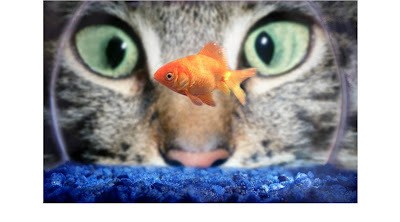 Some of what you do may not lead to a sale - but it should lead to affinity. When you behave in a stupid, insensitive manner, you may be called on the carpet, with ruthless public exchange on Facebook, Twitter or one of the thousands of websites, communities, networks or customer service portals out there. . Take a page from the winners or the losers: Serve first, or die! Whether you are large or small, the goal of engagement is to endear the right audience, by providing value in a thoughtful manner. Contrary to popular thought -- this doesn't mean everyone will always like you, or that you should please everyone. In fact, if we're being honest, for most brands - and even people - there's an aspect of acceptable loss in all relationship building efforts. However, in the shakeout, you must manage all relationships in a manner that leaves you with a pretty loyal group of followers who support you for what you bring to the table. If you play your cards right with your end-to-end experience, you may just find yourself emerging with a raving group of fans who will take a bullet for you - or at least brave the wait to buy your product. By all means, it's okay to look at the qualitative and esoteric benefits of engagement, such as the friendships you have built, and their contribution and enrichment to your existence, how they make you feel. However, it's essential to go full circle to and measure your performance against your plan and objectives using real data. Are you moving the needle, driving desired results? What trends do you see, and how can you boost results? What have you learned, about yourself, your competitors and your audience? What did it cost you? What did it take to manage it and, forecasting ahead -- what's it going to take to better what you've done in the future? How can this and how should this grow or change over time? 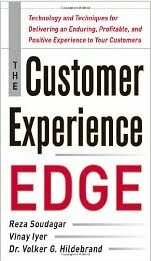 In the end, our engagement must be about adding value and improving the experiences we offer. If we are not engaging in a focused and intentional manner: to learn, to serve, to sell, to endear, to measure... we may just be engaging for nothing. What do you say? Please Add your thoughts... links, etc. When I have a bad experience, it's authentically bad. Perhaps the whole thing sucked.... or maybe a chain of experiences sucked. I was disappionted. It was sucky ....and authentically ugly: None of it was "inauthentic" at all. THERE IS PLENTY OF AUTHENTIC BAD! Authentically good people and brands understand ethics, boundaries, and how to build relationships based on open exchange, giving and reciprocity. Authentically good people and brands know that they won't always be perfect, but they can admit fault and fix things. Authentically good people and brands don't rip off the competition -- they learn from the competition, and do things better. In fact, authentically good people and brands are working hard to "create better" every day. Dump the "lemming speak" and focus your energy -- regardless of where you are in the pecking order of your company -- on being authentically good and doing authentically great work. Speak the truth with love, produce your best, serve others well, think outside your box (and your comfort zone) and strive to make things better. The best brands alive are defined by the outstanding experiences they deliver. Make this your focus and you'll feel the difference. Your customers will feel it, too!